Banners are placed above the product listing (under the website header) and are typically full-width banner image/image slideshow/video. In the Store section, click on the categories link on left hand side. On this page, you would see the listing of all the categories that already exist. On the category creation/edit page, click on Banner link on right top next to settings. 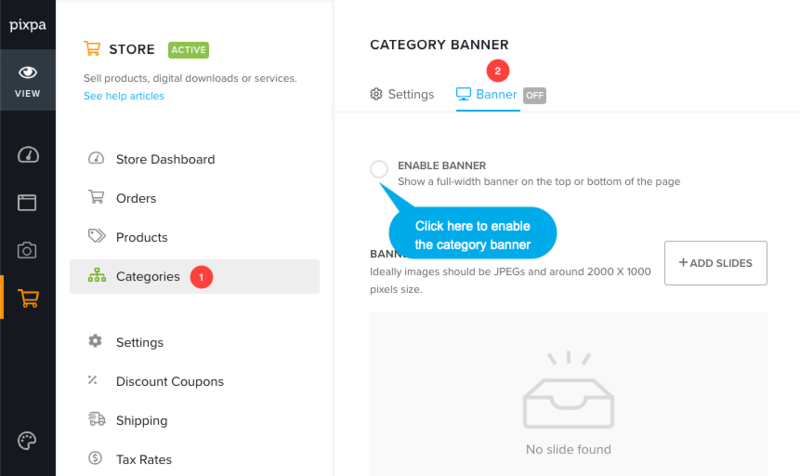 Click here to know everything about banner functionality.